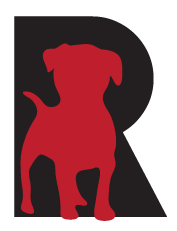 RDRNYC is a 501c3, volunteer & foster based rescue. Our mission is to save abused & at risk dogs from kill shelters & provide vetting & loving homes. A year ago Sunday, this baby girl came into our lives as our first foster. We had her for 6 months and there still wasn’t a single application to adopt this sweetheart! This girl had the saddest and roughest of beginnings. Severely and relentlessly beaten & abused on a daily basis as well as being nearly starved to death, Kath and I had no idea how (or even if) we could help her. She immediately took to our pack….and them to her. They became both her protectors and her teachers. She never fully trusted us until our pack showed her we were worthy of her trust….and love. And this process took MONTHS! I never thought I possessed the type of patience this girl required to find her confidence and her true self. This girl broke our hearts on a daily basis as we watched her pancake to the ground, pee all over herself and shake like a leaf any time we picked up a hairbrush….or grabbed a spatula….or took out a knife. I tried with all my might not to allow myself to think about what this sweet girl had to endure just to stay alive. But to fully understand what she needed from us, I needed to have an understanding of what she had to endure. Heart-wrenching doesn’t even begin to describe this process. But she is a survivor and our girl also filled our hearts with joy every time we reached a milestone. Her first tail wag, our first kiss, the first time she chose to sit with us on the couch instead of on the floor, the first time she met friends of ours and took treats out of their hands, her first visit to the vet where she was SO brave! She now comes running to us when we call her name, tail wagging! This process has humbled me in ways I cannot even begin to describe. She saved us as much as we saved her (probably more)! She came to us as ‘Sasha’ but because she was dealt such horrific cards, we changed her name to ‘Pasta’. New name, new beginnings, new hope. This is a video I put together in the hopes of trying to get her adopted. I have always believed that everything happens for a reason. At the 6-month mark, we let RDR know that Pasta had indeed been adopted…..by us!! We were foster failures but I’ve never been happier about failing at something in my entire life! Please watch this video but, more importantly, listen to the words! We can all do something. Please do!